We got to Cairns and used Urbanspoon to narrow down our hunt for where to eat. Marinades was in the top ten and we were in the mood for curries, so we headed towards Spence Street. We arrived to find a small grouping of 3 smart Indian eateries and headed in to our chosen venue. Inside the smart wooden floor board and tables were complimented by Indian artifacts and pictures on the wall. We were a little greedy and went for three main dishes. 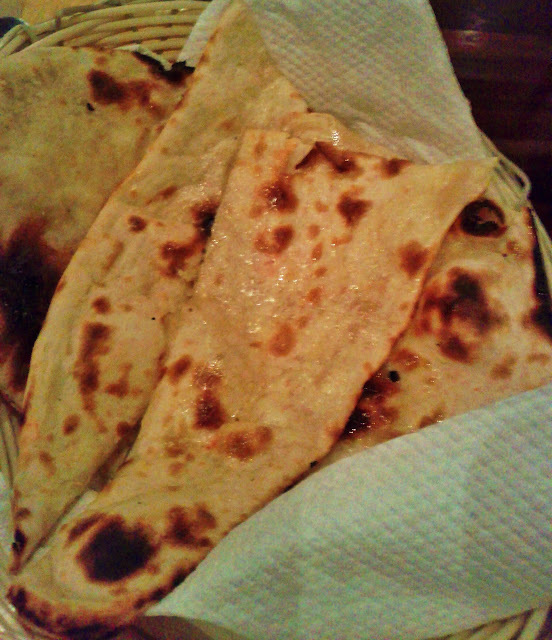 The Bagarela Baigan, an eggplant based dish from Hyderabad was a new one for us and we enjoyed the flavours. 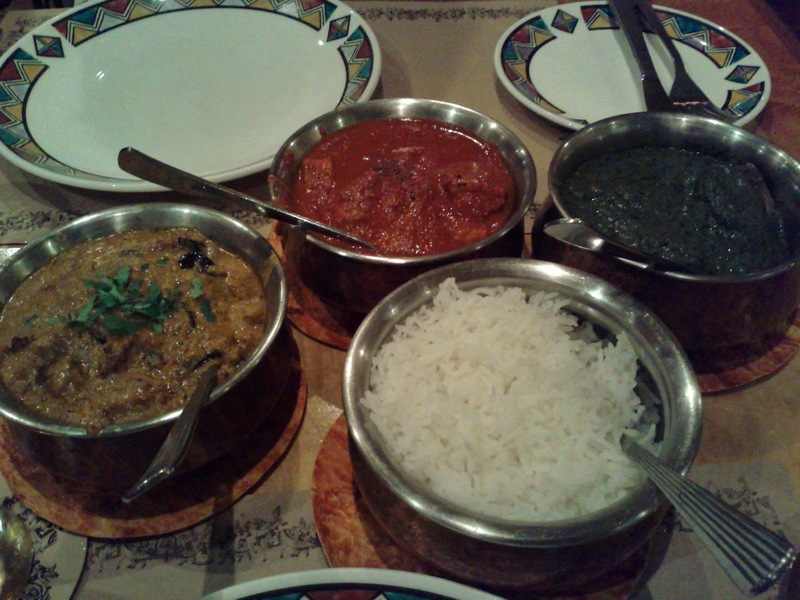 The chicken saag and Bengali fish curry were both also good. Other than not getting any sauces or salads with our poppadoms the service and meal went really well. 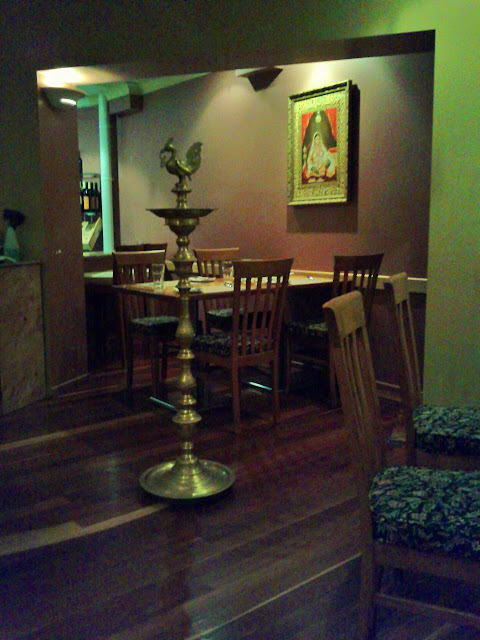 The bill came to just over $80, and Marinades is worth giving a try if you are in Cairns and after Indian food.